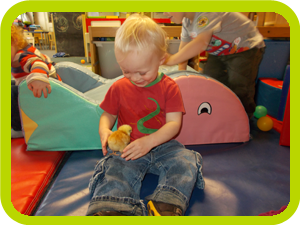 Our Hedgehog room has a cosy secure atmosphere where our Toddlers can relax, explore, move freely, have fun and develop at their own pace with the support of our caring staff. 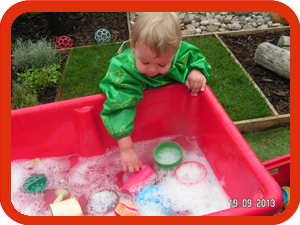 Toddlers are very curious and love investigating the world around them; in line with the Early Years Foundation Stage (EYFS) the main emphasis is learning through play. Activities are planned from the children’s interests; the room is well equipped with a good range of exciting and stimulating toys, games and activities including singing and dancing, creative activities, story time and sand and water to name a few. Our children benefit from the support of their ‘Key Worker’, their main role is to ensure your child feels settled, happy and safe. 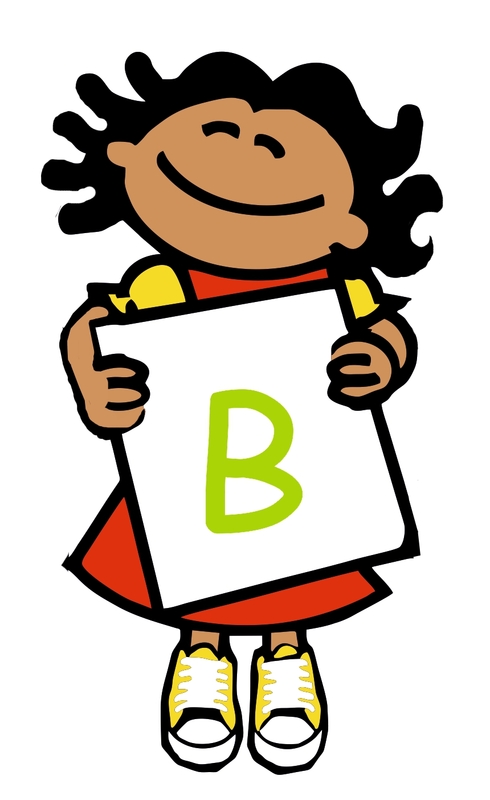 They take a careful note of your Childs progress which they share with you and record in a ‘Learning Journey’, this is a unique record of your child’s achievements, learning and progress in all the development area’s of the EYFS. We encourage parents to add their own comments, experiences and photographs so that we can also see children’s progress at home. In all seasons our Toddlers have direct access to their secure outdoor garden enabling them to explore the sensory area, touch and smell the herb garden and get plenty of fresh air as and when they choose. 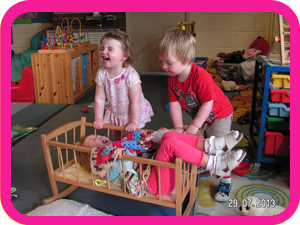 Our Toddlers also regularly go into the larger garden to play in the houses, ride the bikes and socialise with different age groups. Our children wave as the trains rush past the station and when the horse comes to the fence they love to be picked up by staff to say Hello! At nap time, our children snuggle down with a blanket on their own sleep mattress. 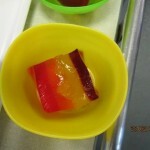 Soothing music is played and children are comforted by our nurturing staff until they drift off into a peaceful sleep. A daily diary informs you about your Child’s day, so you know just how busy they have been at Nursery!